When you live in another country and don’t speak the local language very well, you often end up only reading in your native language. To help solve this problem, why not try Readlang? Readlang is not only an easy and useful way to read and translate websites and ebooks, but it also allows you to create flashcards to help consolidate your knowledge. The mechanism is really easy, first of all install on your computer or tablet and then when you visit a website just highlight the words or phrases you need translating to get both your translation and to create flashcards based on word frequency lists. For ebooks both txt and epub extensions are supported, once again just highlight the words or phrases you need translating and create your flashcards. One of the most useful aspects of using Readlang is that you’ll no longer be limited to boring language course materials and can choose any content you like, whether it be local newspapers, novels or the latest celebrity news. Free with unlimited flashcards and single word translations and up to 10 phrase translations per day (max. 6 words per phrase). Upgrade to the premium version for $5/month or $48 yearly for unlimited single word and phrase translations. Additional tools such as a speaking mode are also included with the premium version. 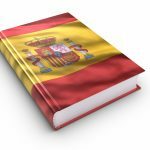 In 2015 Money Saver Spain had the chance to speak with the creator of Readlang, Steve Ridout, who lives between Spain and the UK. MSS: What type of user were you thinking of when you created Readlang? Steve: At first, I was thinking of myself. I loved the idea of learning by reading engaging stories but always found it frustrating. Old fashioned paperbacks and dictionaries have their appeal, but no matter how skilled you become at flicking through a paper dictionary it’s slow and distracting. I also tried installing a custom Spanish-English dictionary on my Kindle, which was better but still lacked many words and didn’t translate phrases. So I set out to make a better reading experience. Once the initial prototype was working well for myself, I shared it with family, friends, and learners on forums, and it’s grown since then to many thousands of users. It’s really useful for anyone who isn’t a complete beginner and ready to try to reading real texts, which could be novels, news sites, blogs, anything really. The Harry Potter novels are popular since they’re available in many languages and people are often familiar with the story already, which makes it easier. The key is to find content that you’re interested in since that’s what’ll keep you motivated to continue. MSS: Is the system easy to use or do you need to have technical knowledge? Steve: Many users have praised it for having a clear design but I’m not completely satisfied and am always looking for ways to make it even simpler for non-techies to use. I always encourage people to contact me so that I can help them out; this interaction is useful since it teaches me what people find confusing and where I should focus on improving things. I’ve managed to teach my mum to use it so that’s a pretty good endorsement for its usability! MSS: How many languages does Readlang currently support? Steve: If possible I add languages as people request them, typically within a few days. Currently there are 45 languages, but some don’t support all the features of Readlang. 30 of the languages have word frequency lists, which Readlang uses to ensure you learn the most useful words first, and 16 languages have audio pronunciation. 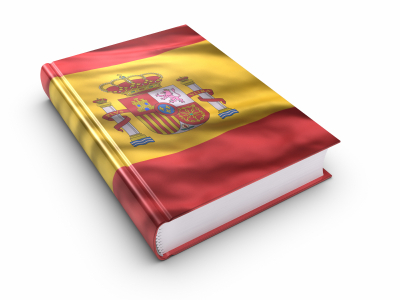 Your readers will be happy to know that Spanish and English are fully supported! MSS: Can it be used on iPhone and Android phones too? Steve: Absolutely! It works either within your mobile browser, or you can save a Readlang bookmark to your homescreen to make it load in full screen mode similar to a proper application. MSS: What are your plans for Readlang in the future? Steve: I want to continue improving it, getting it in more people’s hands. When it comes to new features, between my own ideas and suggestions from users, there are more than I could possibly hope to finish. The real challenge is deciding what not to do!